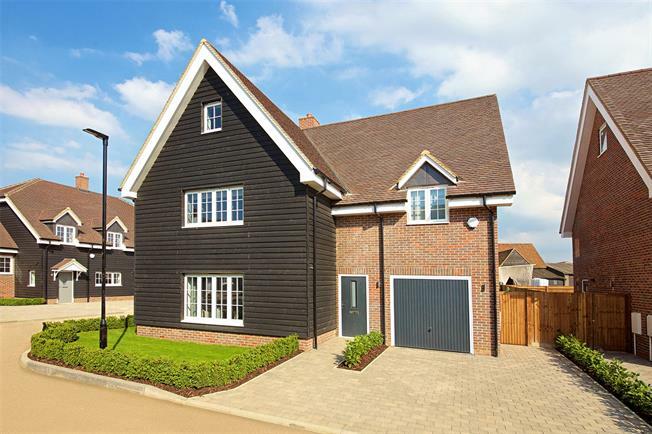 5 Bedroom Detached House For Sale in Watford, Hertfordshire for Asking Price £1,275,000. The Chestnut, offers 2,659sq.ft of living space to include a large Kitchen/Dining Room, separate Lounge, Playroom, 5-Bedrooms, Ensuite Bathrooms and Study. - Kitchen with Composite worktops and matching upstands. Siemens appliances to include single oven, combi oven, integrated fridge/freezer, induction hob, dishwasher, extractor hood, washing machine, tumble dryer, stainless steel sink/waste disposal and Blanco pull out spray tap, Hot tap. - Fully fitted wardrobes to Bedrooms. Dressing Room to Bedroom 2. - Flooring to include: Tiling to Hallway, Kitchen, Utility Room, Guest Cloakroom and Bathroom/Ensuites. Wood flooring to Playroom and Study. Carpet to Bedrooms.